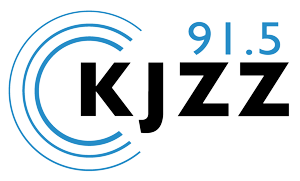 KJZZ.org contains links to external websites. Please be aware that DPS does not claim any responsibility for the privacy practices of such other sites. Google Analytics is used to analyze traffic to this site. Google Analytics does not create individual profiles for visitors. Google Analytics is software that provides business insight and marketing trends without compromising the privacy of users on the web. The Division of Public Service (“DPS”) may share aggregated information with partners and agencies. DPS only shares this information to improve our membership and outreach services, underwriting and sponsorship campaigns. If you have any questions regarding your member data and how it’s accessed and stored, please contact member services at [email protected]. If you do not want to receive DPS e-newsletters, you can unsubscribe or submit a request to have your email address removed at the same email address. DPS is the sole owner of the information collected on this site and does not sell or distribute confidential information collected online to individuals or entities not affiliated with DPS.